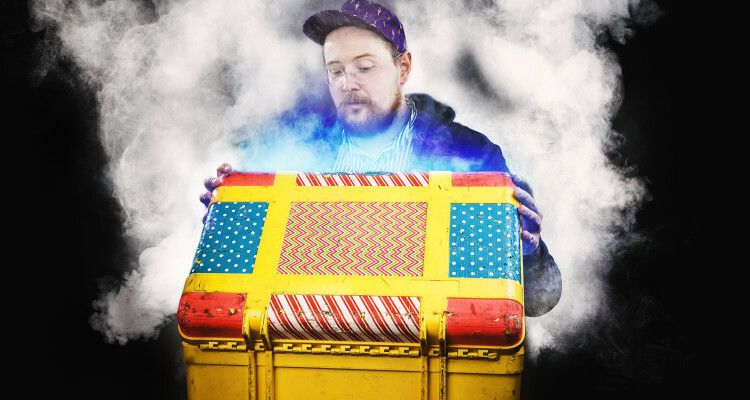 Dan Deacon. Photo Credit: Frank Hamilton. For music fans, there are few worse feelings than buying tickets to a show and then learning that another, better show takes place the same night. Even if you haven’t purchased tickets yet, making the choice between a pair of same-day concerts can be agonizing. What if I choose the wrong one? Do I go with the up-and-coming band or the sure thing? What if my friends and I can’t agree on which show to attend? This dilemma presents itself several times in April, but hip-hop fans have it worst. 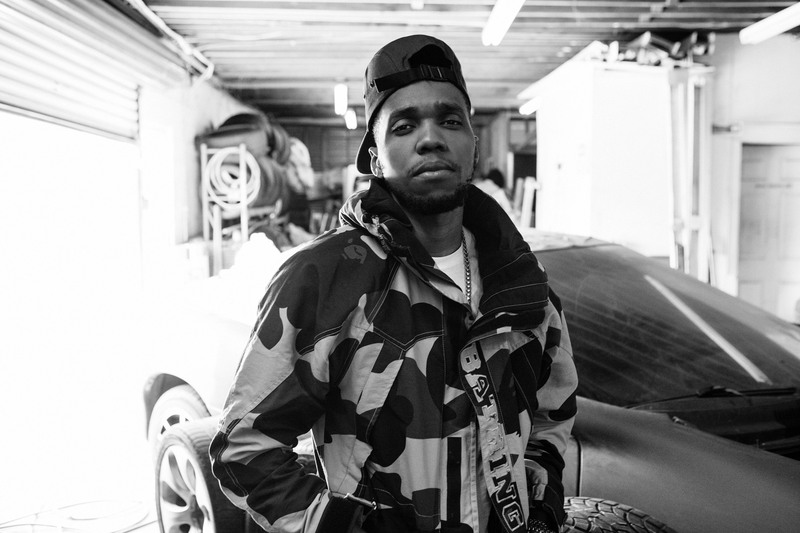 Two top-flight rappers, Curren$y and Early Sweatshirt, perform the same night. This just a week after Cool Keith and Rakim threw separate concerts on the same night. Hopefully, future shows will be spread out a bit! Thursday, April 2. 8 p.m.
Well, that didn’t take long. In 2012, alt-J’s debut album, An Awesome Wave, won the annual Mercury Prize for best British (or Irish) album of the year. Their next album hit #1 in the UK and #1 on the US rock and alternative charts. 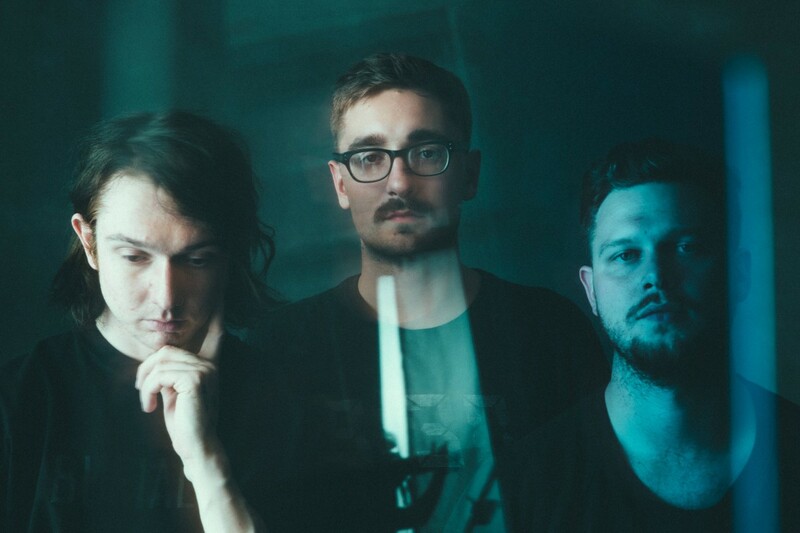 That same winter alt-J sold out shows across the States. We get them on leg two of their new album tour, but they did just visit Pittsburgh less than two years ago. And while it has been months since The Cultural Trust had any seats available to purchase for this event, it still doesn’t say “sold-out” on the show’s ticketing page. It might be worth checking back every once in a while in case any seats are released at the last minute. Otherwise, resale tickets start at around $100 online. Delicate Steve. 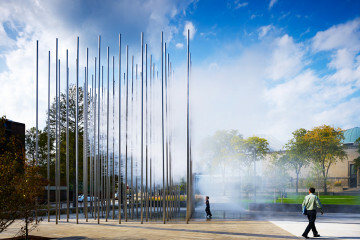 Photo credit: Robert Scheuerman. Thursday, April 2. 9 p.m.
Delicate Steve is both the stage name of multi-instrumentalist Steve Marion and the name of his band. Steve (and the band) combine all different styles of guitar playing into a far-out instrumental melange that defies easy categorization. Two hints about their sound: the band is signed to David Byrne’s Luaka Bop world music label, and Steve (the musician) was recently in the studio with Paul “Graceland” Simon. Pittsburgh’s own long-haired string picker Andre Costello opens. Unlike Steve, Andre sings on all his tracks, and we are better off for it. He and the Cool Minors are just a few months removed from the release of The Rattling Arcade, their first full-length album on local label Wild Kindness Records. Earl Sweatshirt – Photo courtesy Life or Death PR. Saturday, April 4. 8 p.m.
Mr. Smalls – 400 Lincoln Avenue, Millvale. Odd Future’s Earl Sweatshirt returns to Mr. Smalls, the same venue he sold out in late 2013. That was in support of his acclaimed rookie album, Doris, which The Guardian called as “a psychedelic vision quest to the taqueria on a skateboard.” Just this month Earl planned to drop his new album unexpectedly — like Drake did for his new album — but then it showed up for pre-sale on iTunes. Earl was livid. 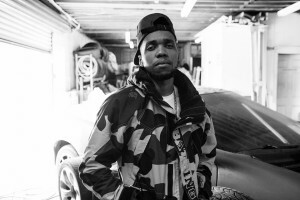 Who knows, maybe he’ll surprise everyone at the show with a guest appearance from Mac Miller, who appeared on the Doris album and then returned the favor to Earl by offering him a spot on Watching Movies with the Sound Off. Opening is Vince Staples, who himself released a mixtape with Mac in 2013. Wednesday, April 8. 9 p.m.
Is there a hotter band out of Pittsburgh right now than The Gotobeds? After releasing a pair of EPs on the local Mind Cure label, the band’s debut full-length, 2014’s Poor People are Revolting, earned praised from music critics nationwide. The band – founded by two members of former Pittsburgh garage-punk act Kim Phuc – was featured on NPR and opened for Girl Talk at his sold-out Stage AE New Year’s Eve extravaganza. Despite the acclaim, they’re keeping it real by playing the back room at The Goose. This time they’re joined by Protomartyr, a post-punk band (and another critics’ darling) from Detroit that has played both Howler’s and Roboto in the past year. It’s a fitting double-bill for a pair of raw-edged bands that seem to be following the same template and upward trajectory. Wednesday, April 8. 8:00 p.m. I had to double check that this show was really at Club Cafe and not across the street at the Smiling Moose. Canadian punk band Single Mothers just released their debut album, Negative Qualities, on Hot Charity, an XL Recordings imprint. Based in London, Ontario, the band quickly achieved notice in the burgeoning Toronto punk scene, even after lead singer Drew Thomson skipped town for a while to become a gold prospector. 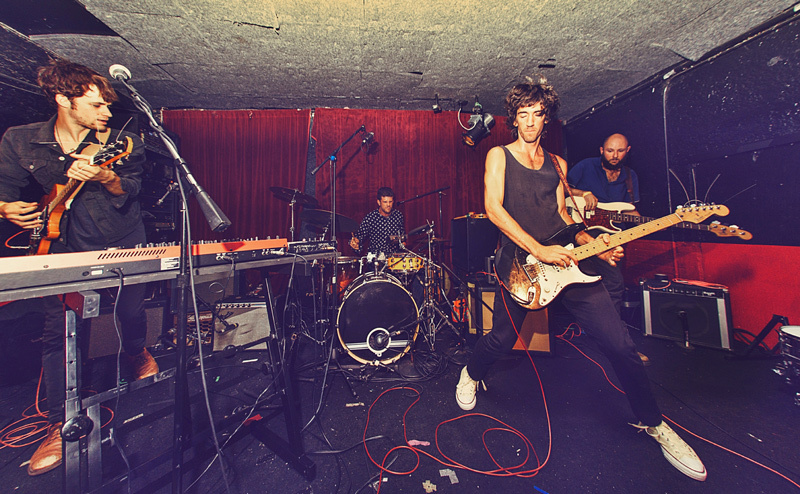 The bill goes full-grown raucous with local post-punk act Edhochuli opening. They just wrapped up a national tour and are rumored to have enlisted Anti-Flag’s Chris #2 to produce their first proper album. Thursday, April 9. 8 p.m.
Saturday, April 11. 7:30 p.m. The Shop – 4314 Main Street. The Mystery Lights do the whole 1960s garage-psych rock thing really well. They hail from Cali but live in New York, so maybe the bi-coastal range of influences has something to do with it. They are signed to Panache Booking, the same people who handle Ty Segall, Thee Oh Sees, Mikal Cronin — all bands I’m sure The Mystery Lights would kill to go on tour with. Local teenage garage rock heartthrobs The Nox Boys also perform. Word is they’ll be playing songs off of their upcoming second album. 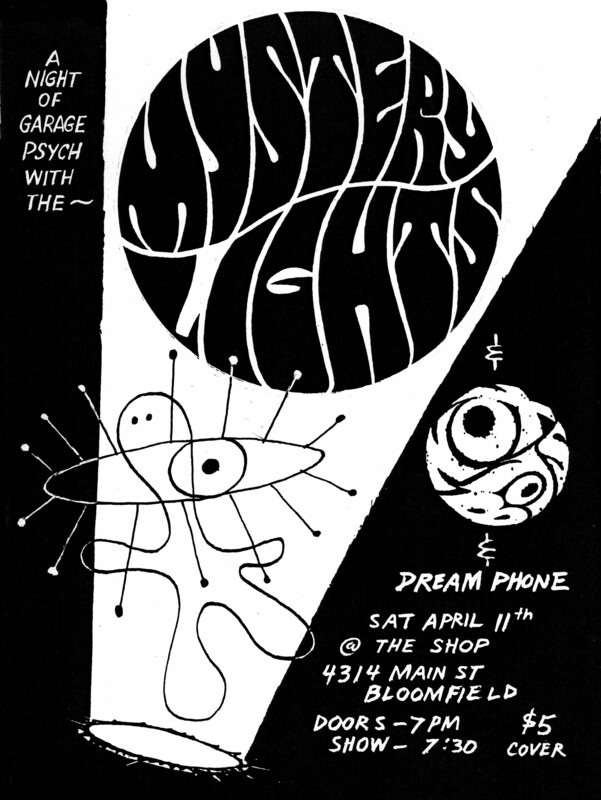 All-gal local supergroup Dream Phone opens. They count members of The Harlan Twins, The Lopez, Delicious Pastries, and more. Tuesday, April 14. 8 p.m. 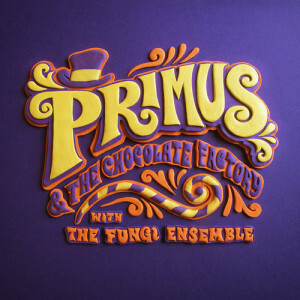 There are basically two types of people in this world: those who would pay to see Les Claypool and a reunited Primus lineup (welcome back, Herb!) perform the Willy Wonka soundtrack, completely re-imagined, and in its entirety (along with other assorted Primus hits); and those you shouldn’t be friends with. Saturday, April 25. 9 p.m. This could easily be another “two good shows on the same night” example, with former Comets on Fire gunslinger Ben Chasny’s Six Organs of Admittance project playing four blocks away at Club Cafe. But some bands just have to be seen live, and Jon Spencer makes his trio one of them. Spencer struts around the stage like he’s possessed by Elvis, while the drummer and rhythm guitar pummel away like they’re in battle with the devil for their mortal souls. In some nearby alternate universe, the Black Keys are still playing clubs in Akron, and Jon Spencer is getting trashed by Jack White in Rolling Stone. 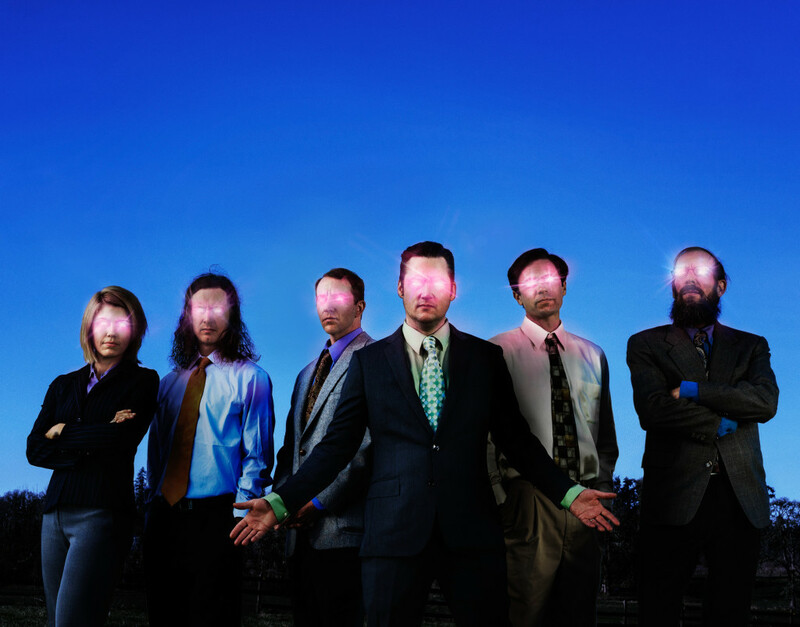 Modest Mouse‘s April 20 show at Stage AE sold out in less than a week. And unlike the alt-J concert, this was has SOLD OUT written big across the ticketing page. San Francisco rock band Foxygen perform at Mr. Smalls April 13. 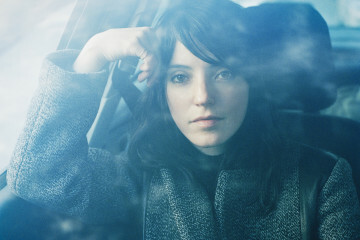 Their first album was fun, folksy pastoral psych, and their second was a sprawling mess. So split the difference? Jazz legend Roy Ayers plays the intimate Cabaret at Theater Square with his Ubiquity ensemble April 28. Local indie rock trio Meeting of Important People release a new single at the Andy Warhol Museum April 18, with special guests The Van Allen Belt, and singer-songwriter Morgan Erina. Noted singer/songwriter Madeleine Peyroux pays visit to Oakland’s Carnegie Lecture Hall in an event that is part of the Warhol’s Sound Series. Amy Ray and Emily Saliers, better known as the Indigo Girls, perform a career-spanning set at Heinz Hall April 30, with backing from the Pittsburgh Symphony Orchestra. Finally, local indie-pop outfit Mariage Blanc, one of our Sound Picks from February, hosts an album release party at Brillobox April 24, with Delicious Pastries and City Steps. Looking for more things to do in Pittsburgh? Check out our Top 9 Pittsburgh events not to miss in April, as well as our Top 10 family adventures in Pittsburgh this April.